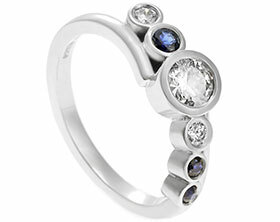 Anita and Nick visited the studio with some lovely pieces of jewellery including Anita's engagement ring and wedding ring. 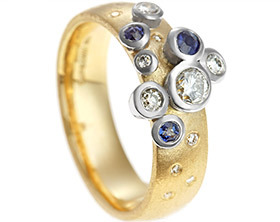 Another wanted one ring that would hold all the gemstones and could use the gold from the pieces of jewellery that she didn't wear to create one beautiful ring. 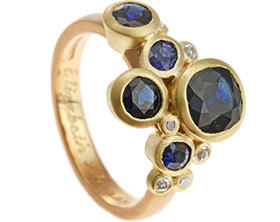 Anita decided on an open style ring, that sit about 13mm wide on the finger using her own 9ct yellow gold, holding her own 9x4.5mm marquise cut deep blue sapphire, two 3.5mm brilliant cut diamonds, two 3.5mm trilliant cut diamonds and six 1.5mm brilliant cut diamonds. 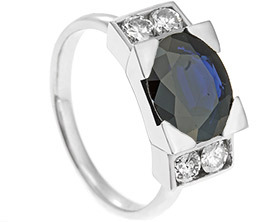 The ring has a lovely high polish finish to really show the contrast between the deep colour of the sapphire and the sparkle of the diamonds. 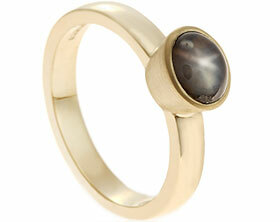 A mixed metal dress ring using our customers own stones. 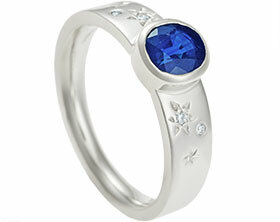 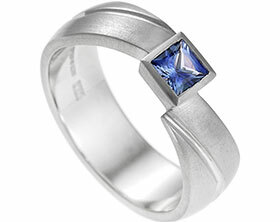 Bespoke 9ct white gold and sapphire star ring. 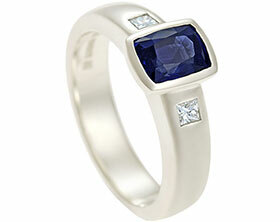 Bespoke 18ct white gold and sapphire dress rings. 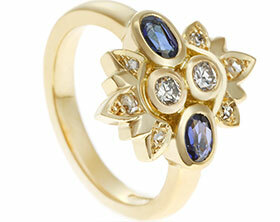 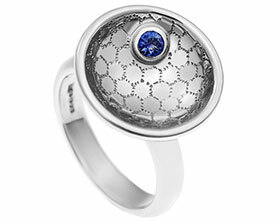 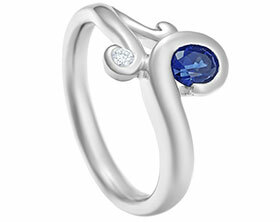 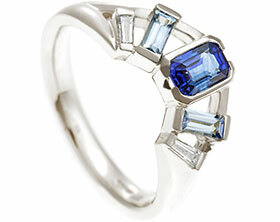 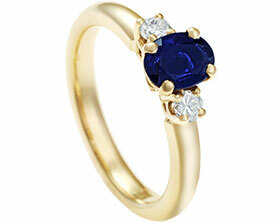 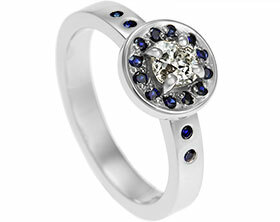 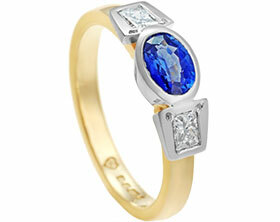 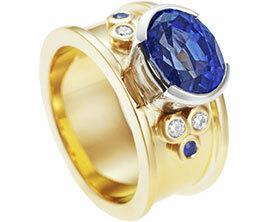 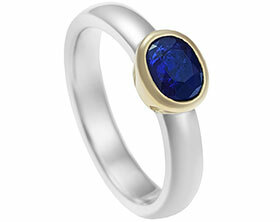 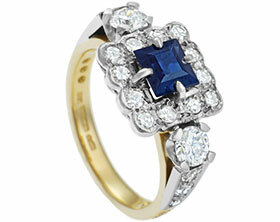 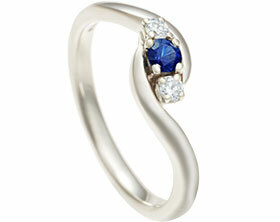 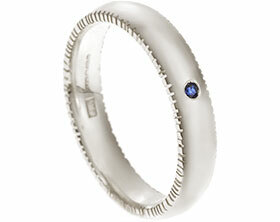 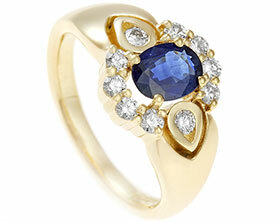 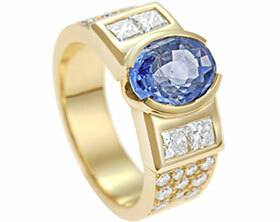 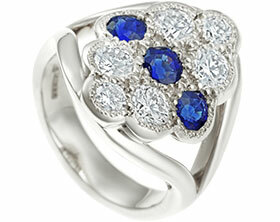 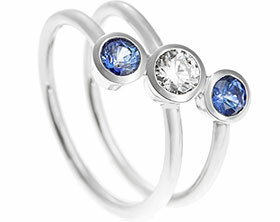 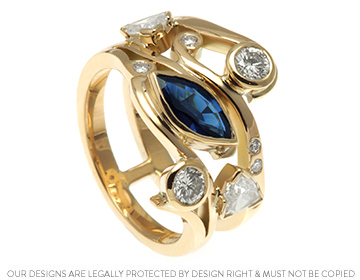 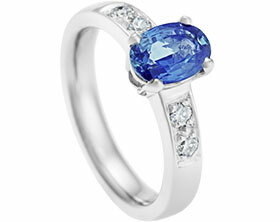 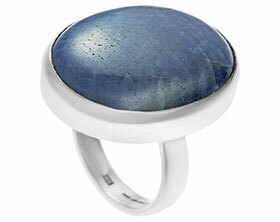 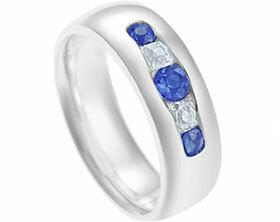 Dress Ring in 9ct white gold, claw set with diamond and sapphire.